It has been brought to our attention that there is another phishing scam circulating. In the email there is a link where they ask you to click on to update your information. Please delete this email and disregard. If you accidentally clicked on the link, please change your password immediately. 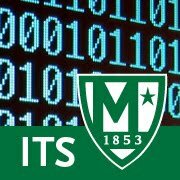 If you require assistance in changing your password, please contact Client Services at x7973 or its@manhattan.edu.